Clare Harrison of the Gower Inn with her Camra award. 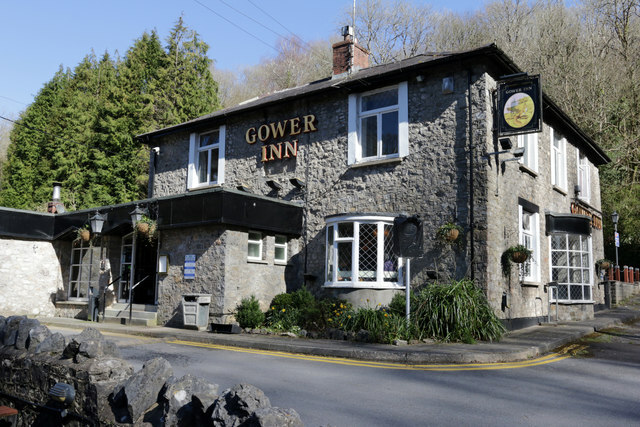 There is some good news for real ale and cider fans with major changes at the Gower Inn in Parkmill, although you would not notice from a casual glance. On a recent visit a couple of local CAMRA branch members noticed that the beer was excellent, whereas in the past the beer at the pub had often been too cold and slightly hazy. When they began chatting with the manager they found the reason why. Clare Harrison has been in charge of the Gower Inn, a Stonegate pub, since January and she also noticed the cool beer and slight chill haze. Clare called on local brewers, Gower Brewery, for some advice and discovered that the delivery lines from the cellar were actually lager lines and could be greatly improved. With the help of Brains, the lines were redesigned to be suitable for real ale and the quality of the beers has improved greatly. It’s not the first time Clare has made some great changes to a pub. She is a bit of a real ale and cider enthusiast – and has been in the industry for many years spending almost 20 years in London working for Nicholsons, learning her trade and visiting many breweries to improve her knowledge of the industry and processes. Originally from Pontypridd, when she was in London Clare always encouraged friendly competition and on match days there was one cask of London Pride and another of Brains SA – so the locals would try to finish the Pride before the Welsh fans could get through the SA. Clare has also previously won CAMRA awards and had involvement in getting her pubs accredited by the Casque Marque inspectors. 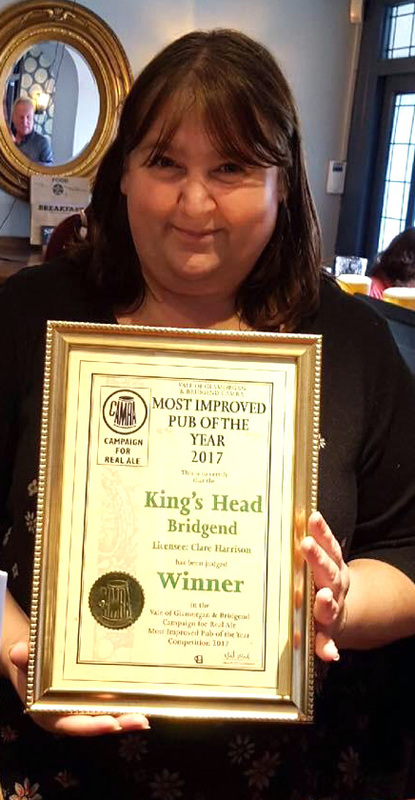 It was Clare who turned the old Molloys in Bridgend from an Irish theme pub without any real ale, into a gem of a real ale pub, the Kings Head (its original name). As a result the pub not only got into the Good Beer Guide but also won an award from CAMRA for the most improved pub of the year. The plans for the Gower Inn are to have Doom Bar as a standard (Stonegate company policy), a regular Brains beer, since they helped with the redesign and implementation of the new cellar arrangements, alongside a guest ale. Clare is also quite a cider enthusiast and in addition to a range of bottled ciders there are two real ciders available, which will change on a regular basis. While there are changes at the Gower Inn, Clare is very much a believer in building on solid success, but one step at a time. Under Clare’s stewardship the Gower Inn has already been Casque Marque inspected and re-accredited. Clare is also looking into the possibility of a discount for CAMRA members and prominently displays the CAMRA membership forms for new converts to CAMRA. In early May Clare organised a meet the brewer evening with a local brewery. More good news is that Clare is organising a beer festival at the Gower Inn for the end of June. The festival will run from the Thursday 28 June to Sunday 1 July. There will be 20 to 25 real ales at the festival and it will open on the Thursday with music from the Ukaholics. The Gower Heritage Centre has a Ukulele Festival on the same weekend and it is good to see co-operation between the two venues. The pub is now also in the BritStop scheme so motorhomers are welcome to stay in the pub car park and will be able to enjoy the beers and cider without needing to get back to their campsite.